In the recent Indian history, very rarely have we come across a situation like that which exists now. We have an ascending economic trajectory, continuously rising foreign exchange reserves and global recognition of our technological competence. We also have the energy of 540 million youth, the connectivity of 20 million people of Indian origin in various parts of the planet, and the interest shown by many developed countries to invest in our engineers, scientists and other professionals including setting up of new research and development centres in India. The government is committed to economic development by ensuring a growth rate of 7 to 8 per cent annually, enhancing the welfare of the farmers and workers, and unleashing the creativity of the entrepreneurs, businesspersons, scientists, engineers and other productive forces of the society. Our book India 2020: A Vision for the New Millennium is all the more important now, when the youth has tremendous opportunities to work in various important knowledge sectors like agriculture, industry, and information and communication technology. 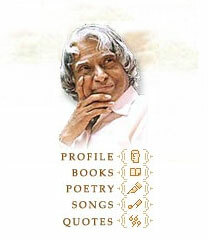 When India 2020 was published in 1998, the original English edition became a best-seller, as did the Tamil edition. These two editions have together sold more than 2,20,000 copies. The book has subsequently been translated into nine other Indian languages, as well as Chinese, Serbian, Croatian and Sinhalese. I have received hundreds of letters and emails from people saying that this book gave them a mission and the boldness to act. People from all walks of life use it as reference material. Institutions have taken inspiration to start small- and large- scale industries. This book has become part of syllabus in some universities and schools. Other authors and editors have quoted from it extensively. This students' edition, Mission India, is intended primarily as a road map for young people. It will also be useful for young entrepreneurs. The facts, figures and tables have largely been taken from India 2020, but have been updated and modified to suit the new readership. The book begins with the poignant question: can India become a developed country? The chapter analyses our strengths and weaknesses, and concludes that we should have faith in ourselves and give our undivided attention to the goal of making India a developed nation. The next five chapters look at five core industries where we must acquire a reasonable self-sufficiency over the next decade and half in order to achieve this goal. These are agriculture and food processing; materials and the future; chemical industries and biotechnology; manufacturing for the future; and strategic industries. There is a lot more that can be done to develop these industries and each chapter looks at what we must aim for each area. The seventh chapter discusses the services sector and the Indian education system. It emphasizes the need for inputs relating to research and inquiry, creativity and entrepreneurship in our educational system to make a attitudinal change in the young minds, and looks at the latest technology tools that can be used to take quality education to all corners of the country. The eighth and ninth chapters, 'Healthcare for All' and 'The Enabling Infrastructure' deal with two aspects which are the sine qua non of a developed nation. These chapters look at the present conditions in these vital areas and analyse what has to be done to achieve a new dimension. Also given are examples of the role played by emerging technologies in these vital sectors. The last chapter, 'Realizing the Vision', takes a final look at the trends seen in India's development today. It outlines how every individual and organization can play a role in reaching our goal. This chapter, we believe, is crucial for everybody to decide on what she/he can do for this great mission of transforming India into a developed nation. I would like to dedicate this book to all those Indians who believe that we can achieve the goal of Developed India Vision 2020. My greetings and best wishes to you all.